Grant's Estate Agents are the number 1 agent in the area and are currently achieving record breaking sale prices. Grant's have been around for approx 30 years and have a large sales team to help find you the best buyer. Being flexible is our strength and we work together with our clients to make sure they maximise the sale price. Your campaign will be headed by our Director Gavin Coyne. 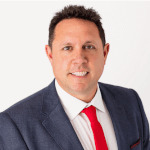 Gavin has worked with Grant's since 1999 and understands the dynamics of property selling and the importance of professional handling of both vendors and purchasers. This office is regarded as having the most experienced sales team in the area. From the moment we met, we knew you were the person we would entrust with the sale of our home. Your professionalism, knowledge of the area, and easy going nature made you a please to deal with. I would have no hesitation in recommending Grant's to anyone in the process of selling their house. Thank you for your professional manner when handling the sale of my home in Narre Warren. You were easy to deal with and upfront on what was involved and at no stage did you try and push me in a direction I didn't want to go. The fact we sold the house in under a week and for more than the advertised price, proves you were on the money with your advise and suggestions. I thoroughly recommend Grant's to anyone thinking of selling. My family and I wanted to tell you what a fantastic job you did selling our property in an amazing two weeks. We didn't expect to get such a great result in only two weeks and achieving $20,000 more than advertised price. Thank you for being so wonderful to deal with and making our experience so easy and hassle free.